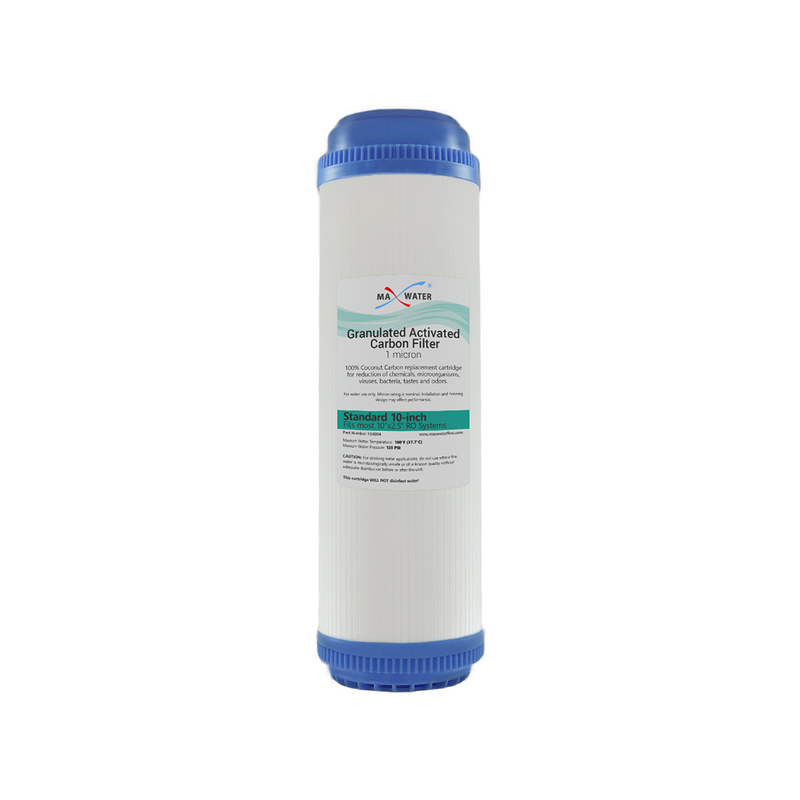 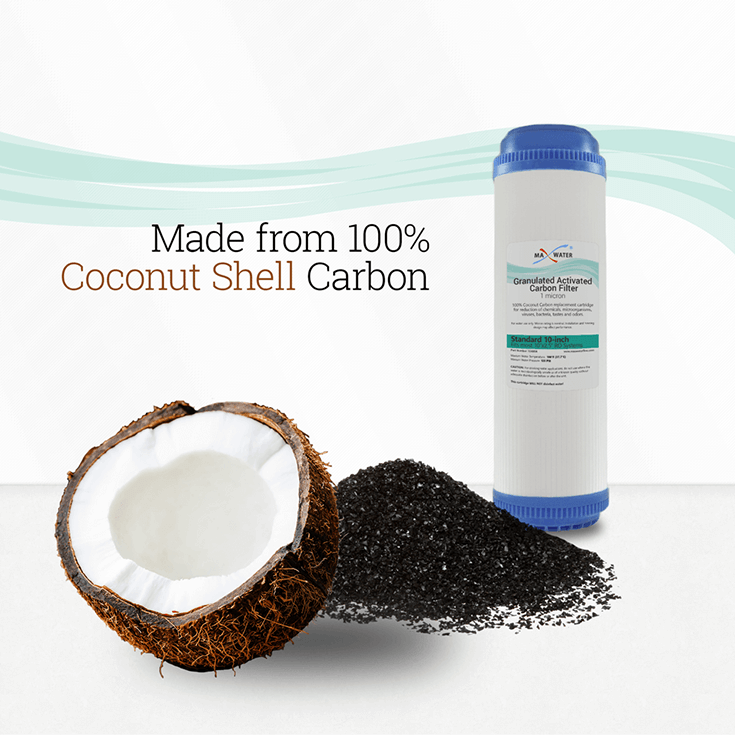 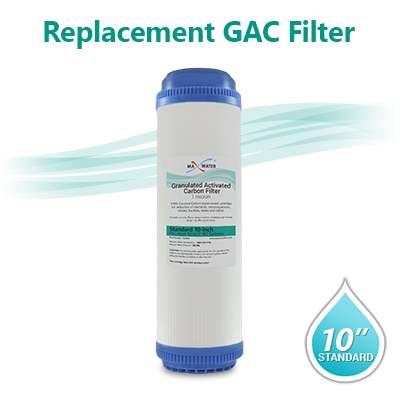 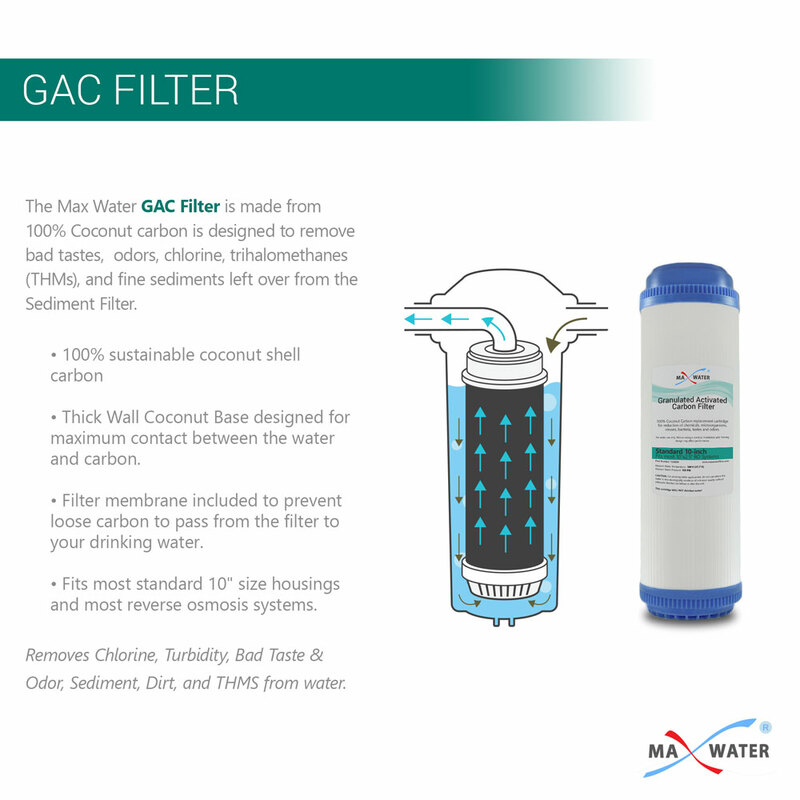 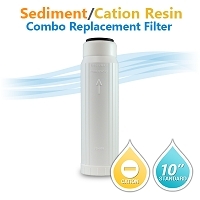 GAC 10" UDF Coconut shell Carbon Filter - Size 2.5" x 9 7/8"
Removes Chlorine, Turbidity, Bad Taste & Odor, Sediment, Dirt, and THMS from water. 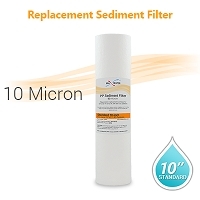 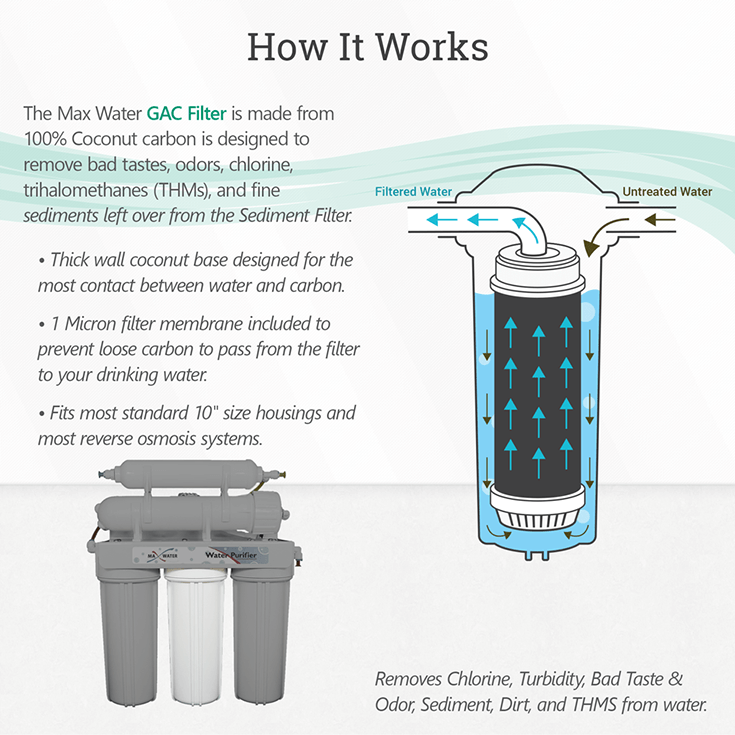 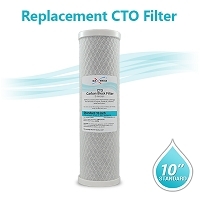 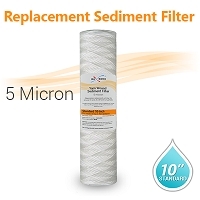 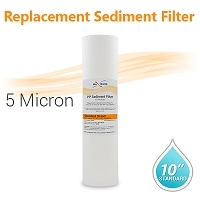 Nominal filter membrane included to prevent carbon fines to pass from the filter to your drinking water. 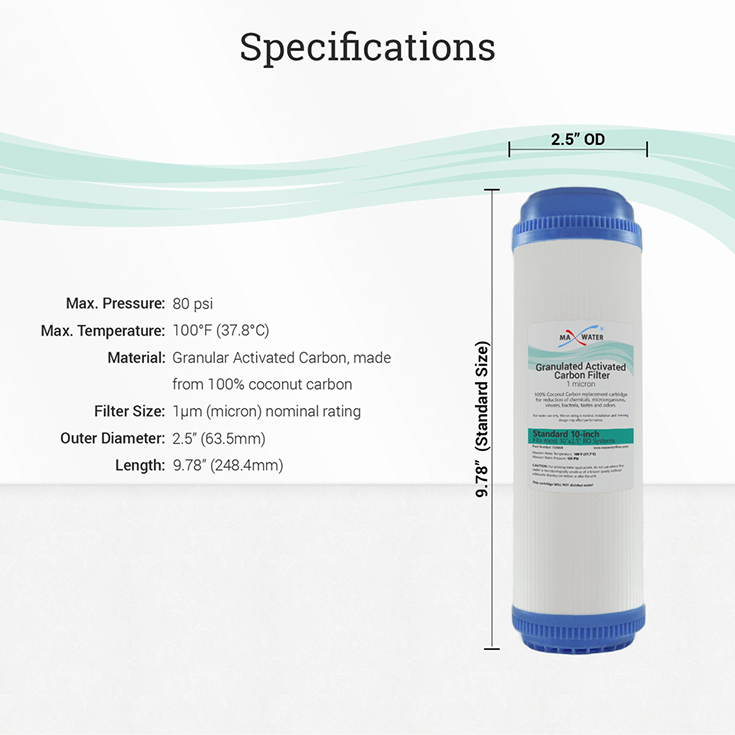 Low pressure drop through filter. 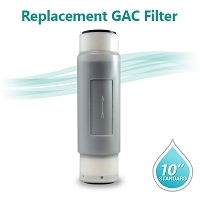 Great, convenient feature...Just had it installed for 2 days and can already feel the difference in my shower and laundry.